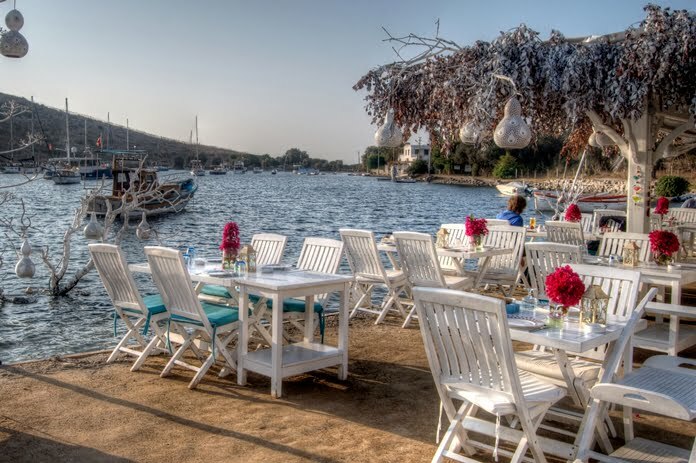 Turkey is one of the most popular holiday destinations for British travelers, and it truly has something to offer everyone’s tastes: white sand beaches; cosmopolitan holiday resorts; the ruins of ancient civilizations; delicious food and potent spirits. No matter when you visit, a great holiday is always possible because of the diversity in geographical landscapes, seasons and vast range of activities, but you might want to time your visit depending on your preferences for the weather and which places you plan to visit. Spring is a fantastic time for mild and fresh weather, featuring sunny skies without the unrelenting heat of the summer. Plan a cultural trip to destinations such as the ancient city of Ephesus, the cave churches of Cappadoccia and the natural calcium pools of Pamukkale, as the cooler temperatures are perfect for traipsing across ruins and temples. Culture vultures will want to flock to Istanbul each April for the annual Istanbul International Film Festival, widely regarded as one of the finest in Europe. 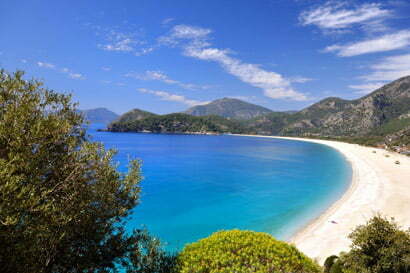 Avid fans of trekking and hiking should choose this time to walk the 516 kilometer Lycian way. Further Reading: Historical sites that every visitor to Turkey should see. 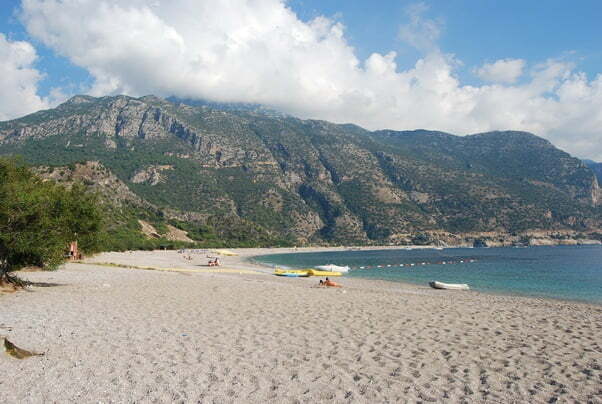 Savvy travellers to Turkey know that the summer is perfect for one thing: the beach. Soaring temperatures and stunning clear weather guarantee it is ideal for anyone who wants to lay out by the pool or on the sand, work on their tan and take a dip in the salt water. The Guardian recently published a guide to the 10 best beaches in Turkey, and any one of these options would make a gorgeous holiday. A visit to the Izmir International Fair, a massive exposition held annually in early September, is a fantastic way to provide a window into Turkey’s thriving arts, culture and trade industries. As the hot summer slips away, a cooler and rainier climate takes over in most regions of the country, perfect for travellers who prefer to sightsee in comfort. While Mediterranean beach holidays are still possible, the autumn months are better suited to exploring the capital of Ankara or getting lost in the magnificent city of Istanbul. 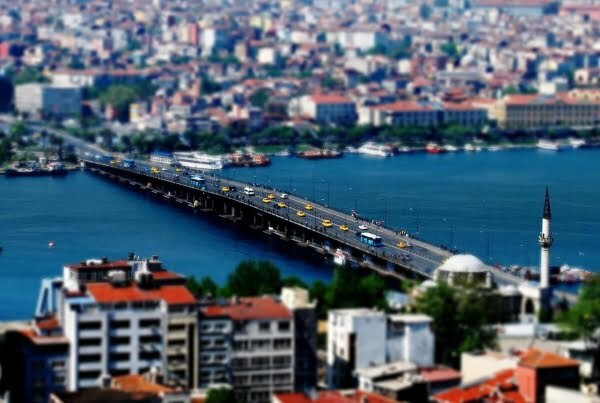 This year travellers who are interested in fine art should head to Turkey between September and November for the 14th Istanbul Biennial art festival, featuring works and installations from artists around the globe. A word of warning about Autumn is that the days will be fine but night times can be cold so bring a jumper. A winter festival that is not to be missed is the annual Selcuk Camel Wrestling Festival, held each January. Elaborately saddled male camels are encouraged to wrestle over the affections of a female, providing a stunning display for onlookers and forming the backdrop of this unique cultural event. Ultimately, no matter what season you visit Turkey, you are guaranteed a phenomenal traveling experience. The natural beauty of the country is matched by the warmth of its people, its fresh artisanal cuisine, and a rich heritage stretching back millennia. Do you have a question about places in Turkey that you want to visit and when you should go? Hi Albert, it is in April and the best time place to see them is Istanbul where more than a million are planted. They are not in abundance throughout the rest of Turkey. Summer for the tourism season runs from May to October. This is when all the airlines operate their summer schedule. Kind of holding the tourist resorts to ransom really because November and April are still nice times to visit. Heard the period Mar/Apr is the tulips bloom season in Turkey, any idea when would that be exactly? Also, when is their summertime officially?